FIM Oceania has confirmed the FIM Oceania Speedway Sidecar Championship will once again be conducted at Adelaide’s Gillman Speedway Stadium. In confirming the allocation, FIM Oceania President Glen Williams said “FIM Oceania is thrilled to be associated with the FIM Oceania Speedway Sidecar Championship at Gillman Speedway, in South Australia. “We are looking forward to yet again seeing some of the world’s best Speedway Sidecar riders battling it out for an evening of spectacular racing. FIM Oceania has the important role of helping to create and develop the sport of motorcycling within our region. Our continued support of this high-quality event reflects the valued exposure that Gillman Speedway brings to our sport within Oceania. “I am sure that the FIM Oceania Speedway Sidecar Championship will again be action packed and hotly contested. It will be a weekend of handle bar to handle bar racing with riders from Australia, New Zealand joining International stars. 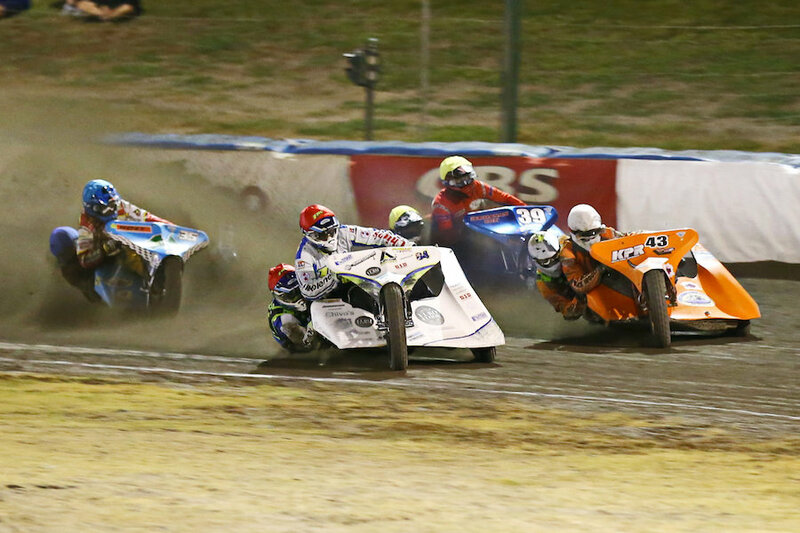 The FIM Oceania Speedway Sidecar Championship will be held at Saturday night, 30 March 2019. Details of the riders taking part will be announced when each country makes its selections, but David Parker said he was pleased to say the current champion Darrin Treloar will be defending his FIM Oceania championship.